If you follow my blog, you know that my favorite genre is suspense and mystery, so when today’s author contacted me and asked if I would read and review her debut novel, I unfortunately had to say no because I am so far behind in my requested review TBR schedule. However, that didn’t mean that I didn’t want to get to know about her or her book for the day when I am caught up and start reading from my personal TBR pile, which I have placed her book on. I also wanted to share her and her book with you. So please help me welcome Ms. Traci Hohenstein!!! I will never forget watching the news when Natalie Holloway disappeared. If you remember, she was a teenager from Alabama who went to Aruba for spring break vacation. She vanished after a night out clubbing with her girlfriends. To this date, her body has not been found. As a mother of three children, one being a girl, I couldn’t imagine what her mother must be going through. Of never knowing what happened to her daughter and never having closure. Over 2300 hundred people are reported missing every day. That thought stuck in my mind after watching a show about missing persons. I started looking into other disappearance cases that have left investigators just shaking their heads. What happened to these people? Where are they now? Readers always ask me where I get my ideas from. Well, just watch any news show and you will have thousand of ideas for stories. 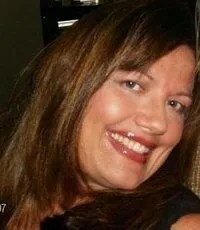 Following the Natalie Holloway case was the beginning of an idea of a new suspense series featuring a woman who started a search and rescue organization – specifically for locating missing persons. I modeled Florida Omni Search after Texas Equuseach, which is the same company that assisted in the Natalie Holloway case as well as other high profile cases like Caylee Anthony. Texas Equusearch is one of the few specialized volunteer teams in the US that search for missing persons. 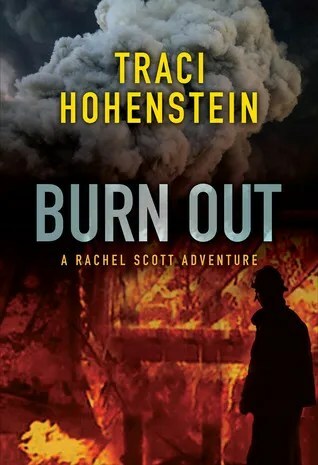 My first book written in the Rachel Scott series is Burn Out. Burn Out features Samantha Collins, who is a firefighter that vanishes during a warehouse fire. Samantha leads her firefighter crew into a burning warehouse to locate the owner’s son. After he is pulled out, one of the crew members realizes that Samantha is missing. The warehouse roof collapses and she is presumed dead. Her helmet is found outside the rear parking lot but her body is never found. Samantha’s mother contacts Rachel and Florida Omni Search to help found out what happened to her missing daughter. The novel takes the reader through the investigation as Rachel starts putting the pieces of the puzzle together. This book was fun to research and write. My husband is a firefighter and I relied heavily on his expertise when it came to questions about various firefighting techniques. Will she locate Samantha in time and also find out what happened to her own daughter?